Eastbay.com offers your Choice of Two (2) Eastbay Evapor Compression Apparel Items for $24.99. To get this price choose two eligible items and select "add to offer". You will also get free shipping on all orders. Eastbay.com has 25% to 56% off select The North Face clothing, shoes and accessories with prices starting at only $12.99. Plus take an extra 20% off most orders of $50 or more with coupon code LKS152F5. Also, free shipping is included on all orders. Eastbay.com has the Nike Air Men's Ring Leader Basketball Shoes in your choice of White/Sport Red or Dark Gray for $43.99, price will drop in cart. You will also get free shipping on this item. Eastbay.com is offering free sitewide shipping, plus they have a huge Clearance Sale with up to 90% off over 21,000 items, with prices starting at only 99 cents. Plus take an extra 20% off orders of $50 or more with coupon code LKS152F5. Offer ends Saturday 10/31. Eastbay.com has the adidas Men's Originals ZX Flux Running Shoes for $44.99 with coupon code LKS15C52. This item also currently includes free shipping. Regularly $119.99 Eastbay.com has the Nike Men's Air Force 1 Low Shoes in Crimson Black for $49.49 when you apply coupon code LKS15C52 . This item also currently includes free shipping. Eastbay.com has the Nike Men's NFL Stadium Decibel Hoodie in your choice of teams for $53.99 with coupon code LKS15C52. Also, free sitewide shipping is included on all orders for a limited time only. Eastbay.com has the Reebok CrossFit Nano 4.0 Men's Training Shoes in your choice of 9 colors for $71.99 when you apply coupon code LKS15949. You will also get free shipping on this item. Eastbay.com is having a huge Clearance Sale with up to 90% off over 21,000 items, plus take an extra 10% off orders of $50 or more with coupon code LKS15746. Find name brands including Nike, Reebok, adidas, New Balance and more with prices starting at only $1.99. Many items include free shipping, all other items offer free shipping on orders of $75 or more. Offer ends July 25th. Eastbay.com is having a huge Clearance Sale with up to 90% off over 21,000 items, plus take an extra 10% off orders of $50 or more with coupon code LKS156EC. Find name brands including Nike, Reebok, adidas, New Balance and more with prices starting at only 99 cents. Many items include free shipping, all other items offer free shipping on orders of $75 or more. Offer ends June 30th. Eastbay.com has a selection of name brand Basketball Socks up to 67% off. Prices start at only $4.99. Also, through May 31st you will get free sitewide shipping. Eastbay.com is offering free sitewide standard shipping on all orders with no minimum purchase required. This is even good on Sale and Clearance items already marked down to up to 90% off. Find name brands including Nike, Reebok, adidas, New Balance and more with prices starting at only 99 cents. Offer ends May 31st. Eastbay.com has up to 80% off over 20,000 Clearance Items with prices starting at only 99 cents. Plus take an extra 15% off a $70 or more order with coupon code LKS15439 or 17% off orders of $120 or more with coupon code LKS1543K. Find name brands including Nike, Reebok, adidas, New Balance and more. Deal ends April 30th. Eastbay.com has up to 75% off over 20,000 Clearance Items with prices starting at only $1.99. Plus take an extra 15% off a $70 order with coupon code LKS14D66, 17% off orders of $120 or more with code LKS14N5F, or 20% off a $220 or more order with coupon code LKS14D6R. Get free shipping on orders of $50 or more with coupon code LKS14N5K. Only 1 code can be used per order. Eastbay.com has up to 75% off Clearance Items. Choose from over 20,000 items with prices starting at only $1.99. Find name brand including New Balance, adidas, Nike, Reebok and more. Plus take an extra 15% off a $70 order with coupon code LKS14N53, or 20% off a $99 or more order with coupon code LKS14N5L. Get free shipping on orders of $75 or more with coupon code LKS14C5L. Deal ends November 30th. Eastbay.com has up to 90% off Levi's Men's Apparel. Prices start at only $4.99. Get free shipping on orders of $75 or more with coupon code IPEB4C27. Eastbay.com has up to 75% off Clearance Items. Choose form over 17,700 items with prices starting at only $1.99. Find name brand including New Balance, adidas, Nike, Reebok and more. Plus take an extra 10% off a $60 order with coupon code LKS14C5N, 15% off a $70 order with coupon code LKS14C52, or 20% off a $99 or more order with coupon code EMEB4C85. Get free shipping on orders of $75 or more with coupon code LKS14C5L. Deal ends Wednesday. Through Thursday, Eastbay.com is offering you an Extra 20% off, with no minimum purchase required. Use promotion code EMEB43Y4 at checkout. This code even stacks with sale items already marked down to up to 70% off. Eastbay.com offers you 2 Eastbay Evapor Performance Tees, in long & short sleeved styles, for men, women and kids for $9.99, add "2" to you cart to see your discount. You will also get free shipping on these items. Eastbay.com has added New Markdowns to their Sale with up to 70% off over 20,000 items. Plus get an extra 15% off with coupon code IPEB42K3. Code expires Thursday at 3:59 am CT.
Today only, Eastbay.com is having an End of Season Sale with up to 70% off over 20,000 items, plus get an additional 20% off orders of $99+ with coupon code EMEB4A59. Eastbay.com offers you 20% Off on a $99 or More Purchase with promotion code IPEB3T27 at checkout. This code is good through October 10th. 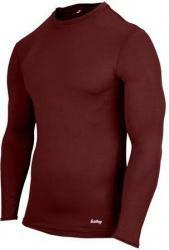 In your choice of 20 teams, Eastbay.com has their Smartthreads College Tattoo Sleeve Hoodie - Men's for $9.99. (Regular price $69.99.) Get 20% off $99 with code IPEB3856 (ends 8/22). Get free shipping when you spend $75 or more with coupon code LKS138KH. Hurry, these will sell out fast! Eastbay: Free Shipping Sitewide, Even on Sale Items as Low as $1.99! Eastbay.com has Free Shipping Sitewide with coupon code LKS138KH. This code even works with sale items that are as low as $1.99! This code expires 8/31/13. Eastbay.com has the ASICS Men's Hypersprint 4 Track Spikes Shoes in your choice of Electric Lemon/Black or Onyx/Lightning/Silver for $9.99. (Regular price $54.99.) Shipping is $7.99. Get free shipping on $75+ with promotion code IPEB3765 at checkout. 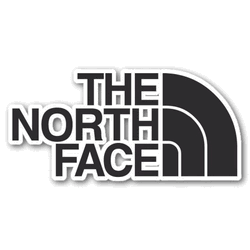 Eastbay.com offers savings up to 65% off select The North Face Men's Outerwear. You can get free shipping when spend $75 with coupon code IPEB3A25. Sale includes The North Face Klamath Jacket for $109.99. Eastbay.com has the UGG Leland Women's Knit Sweater Versatile Boot for $101.99 after code: LKS12EM4. Shipping is $7.99. At Eastbay.com through the end of the month, use coupon code LKS1A929 to save 20% on any purchase with no minimum purchase required. Huge coupon from Eastbay.com. Use code IPEB96FY to save 30% on any order of $99 or more through today, June 22nd. Discount also applies to sale items! At Eastbay.com through 4/6, use coupon code LKS19M55 to save 15% on any purchase over $75. Eastbay.com has over 200 Reebok NFL Replica Jerseys (Home, White or Alternate) on sale for $49.99 - that's $30 off the regular price. Get free shipping on orders of $75 or more as well. Use this link to save 20% on any Eastbay.com purchase through November 2nd. Eastbay.com has a new coupon code, LKS18TTW, that gets you 20% off any purchase with no minimum amount required. Expires at the end of the month. Use coupon code LKS18T29 at Eastbay.com to save 20% on your $99 purchase through the end of the month. Through October 3rd at Eastbay.com, use coupon code LKS18P2F to save 20% on your entire order. Even better - there is no minimum purchase amount required! Through the end of May at Eastbay.com, use coupon cde LKS18Y5M to save 10% on all online orders. Be sure to check out their Sping Cleaning Sale with items marked up to 60% off. Great for summer - Eastbay.com has hundreds of sandals on sale for under $25. Crocs also on sale including licensed sports styles. Plus use coupon code LKS18APR to save 15% on any purchase of $75 or more. Check it out! Use coupon code LKS18FCP to save 20% on any Eastbay.com order of $100 or more. Coupon expires March 2, 2008. Great discount - Eastbay.com is giving 30% off everything storewide through Friday June 15th with coupon code EMEB76RT. Eastbay.com is giving 20% off $100+ purchases with coupon code LKS1632M. Offer expires 4/3.